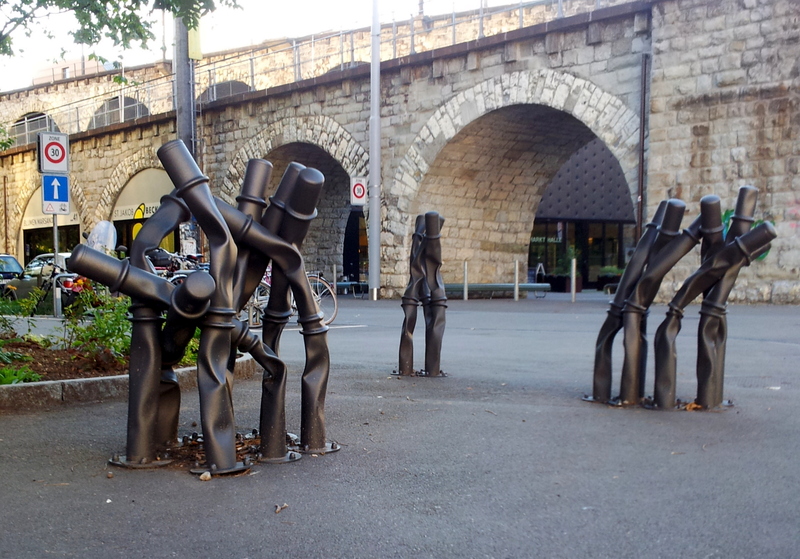 Next to Viadukt food market entrance, right were Röntgenstrasse and Limmatstrasse cross, you can find Bettina Pousttchi’s Ahead Only (2012). More information about the artist and this piece on the Art and the City official website. I really don’t understand how we missed this one – we walked RIGHT PAST IT! So cool.